The consistency is: Very thick. 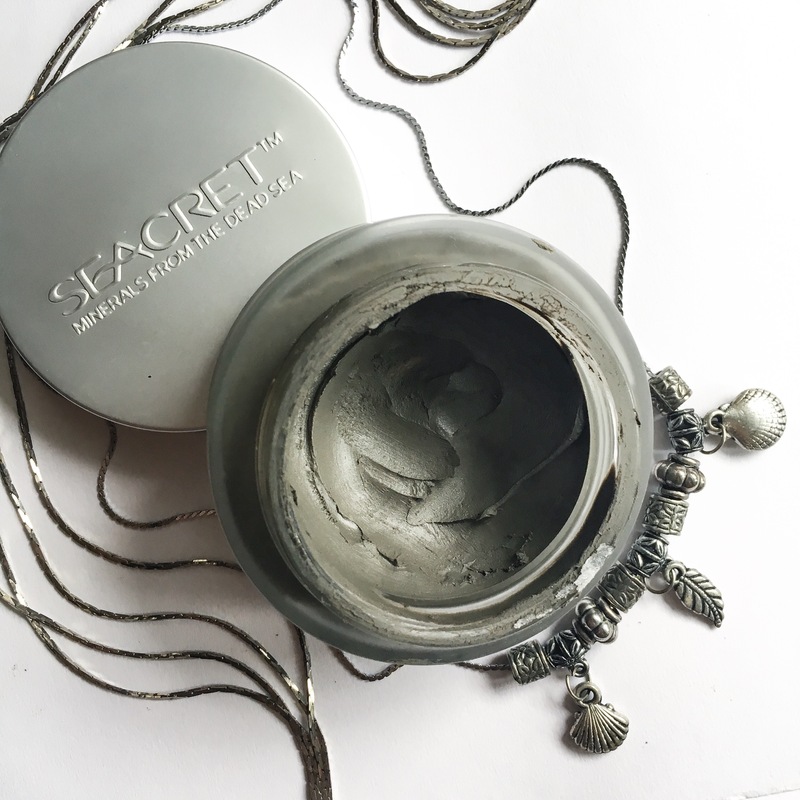 It’s mud, like semi-dry mud that easily dissolve in water… They say it is composed of Dead Sea mud, which contains an advance mineral formula… I’m no science geek, but we’ve all heard of these mineral stories of Dead Sea. It also has Vitamin A, Jojoba oil, chamomile extract, Aloe Vera and sunflower seed so I guess this kind of justifies the price point. The colour is a blue-tone grey and you need very little amount for your entire face. Application: Is simple. You need to apply a thick layer on your face and leave just for 5 minutes. (This is why I decided to buy because I don’t have to wait for so long with the mask on) To remove, you can rub off the mask gently and clean your face with lukewarm water later. Overall feeling: Okay, here’s the weird part. As soon as you apply it, it starts stinging. It’s so sharp that it feels like your face is burning and this freaked me out so much I immediately stopped using it. I had no allergic reaction though. My skin felt so smooth and fresh that I was so surprised, so I read some reviews online. Apparently, many people have felt the same tingling/burning feeling, but it goes away within a minute. So next day I tried again, and it was true. The burning feeling lasted only a minute, then it felt so cool and fresh before I removed in 5 minutes. It left my skin looking and feeling like baby skin. I use this only twice a month. I don’t use any other masks and whenever I use this, my skin feels so good. It does clean your face really well. Do I recommend this product? Yes, if you’re ok for a temporary burning feeling on the face. It’s actually scary at first, but I’ve got so used it that I ignore it every time. However, I don’t think this is a must-have product.